Personalized Cart is there to help you find the perfect gift for any occasion. Instead of flowers and candy, you can find personalized gifts like fishing gifts, office gifts, golf gifts, watches, knives, and many more great choices. Now you can show how much you care with a personal, unique gift based on your budget. I really like a bunch of the great items from Personalized Cart. Therefore it was very hard to decide on what to get for my husband. 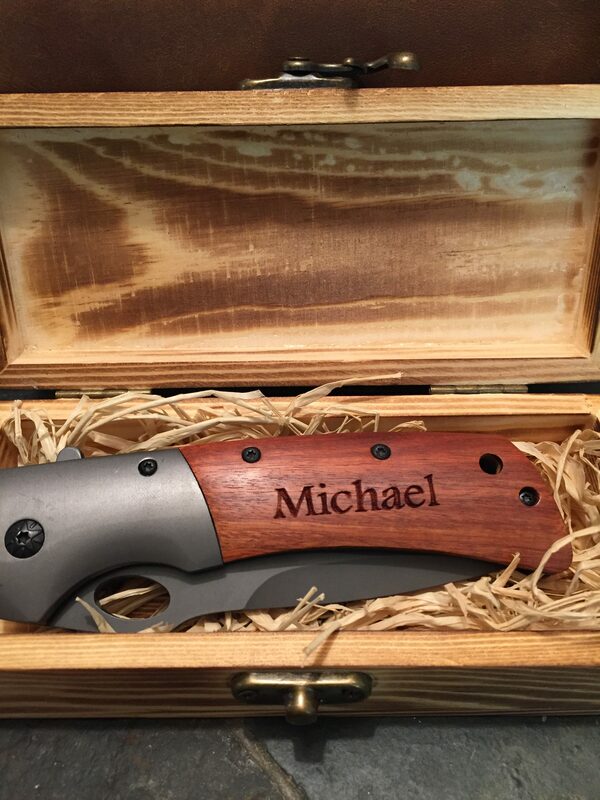 He collects knives so he will love the knife that says Michael on it. Plus the Best Mens Toiletry Bag caught my eye. I love the aged look of the material, and how his initials look burned on. It is a very masculine bag that he will use on trips. Then he can think of me especially on the trips where I am not with him. I also got two knives for my sons, which they love. They picked them out, and choose the font. 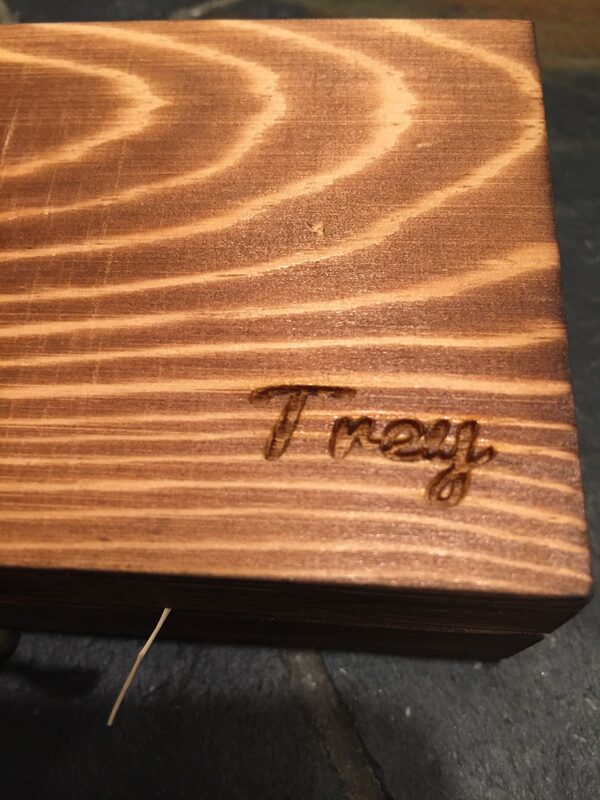 The wood watches and watch boxes on the site looked cool and would make epic gifts. Maybe I can get those for him for Christmas. These gifts were affordable and very nice. The knives were good brand names, and the personalization was well done. Most noteworthy was the boxes also had their names for no extra cost. 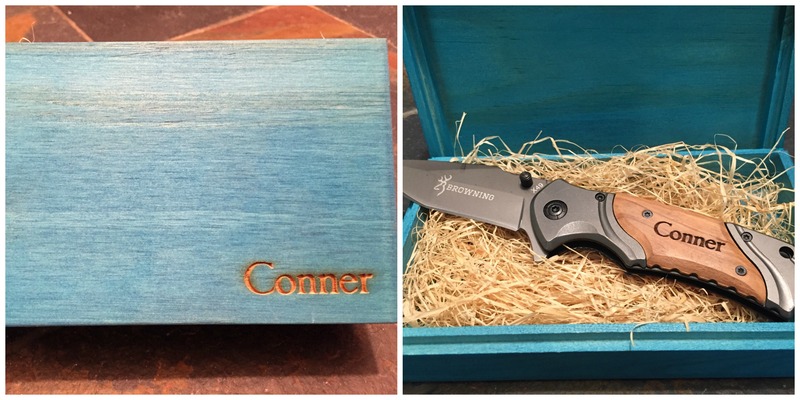 I love the blue box that came with Conner’s knife. The items were shipped quickly and were all correct. 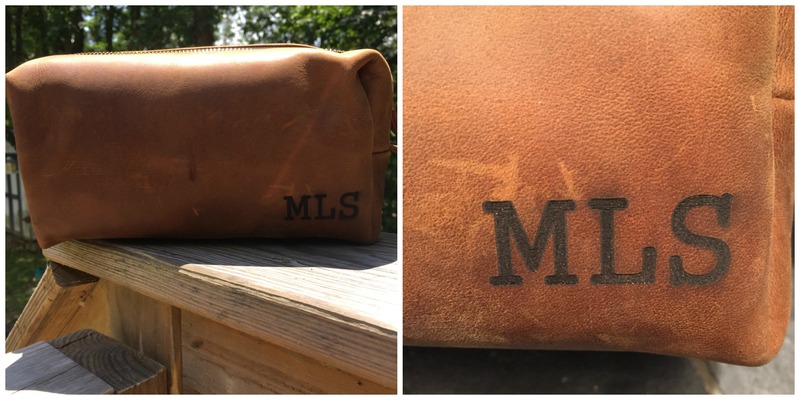 My husband will love his toiletry bag and knife, and will hopefully have the best Father’s Day ever! Which item from Personalized Cart would make your husband or dad’s day?